Near Bourke Point: 12.06 Acres Building Lot With 3136 Feet Of Dual Waterfrontage That Includes A 1.8 Acre Island. 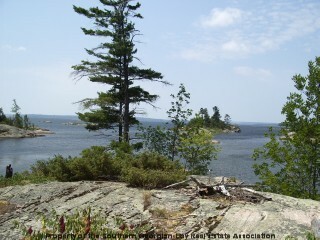 5.16 Acres At The Northern Tip Of Thibodeau Island. Two 3-bedroom Cottages, Deep Water Dockage And Two Beaches. Cabin, Small Bunkie And New Dry Boathouse Located On 350 Ft. Waterfront Of South Facing Shoreline on 1.23 Acres. Whalesback Group Of Islands: 4.9 Acres Of Private Islands With Protected Harbour. Great Views Of The Outer Islands Of Cognashene. North Cognashene: Two Bedroom Waterfront Cottage For Sale With Woodstove, Screened Porch + 750 Sq. Ft. Decks. Two Bedroom Open Concept Cottage With Stone Fireplace, 227 Ft. Waterfront Lot. 10 Minutes By Boat From Marinas In Honey Harbour. We are pleased to welcome you to the online presentation for Rick Hill of Royal LePage In Touch Realty Inc., Brokerage: a real estate professional providing solutions when buying real estate and or selling real estate in Georgian Bay Ontario. 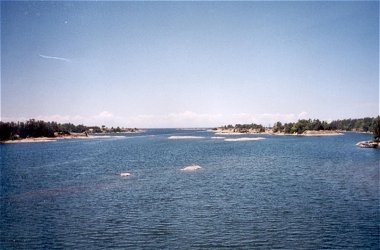 Rick specializes in Georgian Bay Real Estate Sales, most specifically waterfront cottages, water access cottages and island properties. Recreational Real Estate at it’s finest in the heart of the Canadian Shield and 30,000 islands archipaelago. On the About Rick Hill Bio Page more success factors are presented encouraging you to select Rick Hill as your licensed real estate sales representative for selling and or buying opportunities. 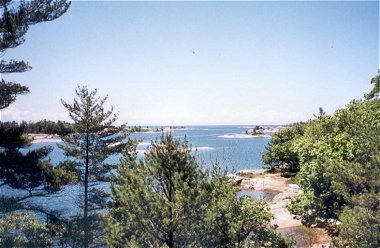 Find lots of Georgian Bay cottages for sale. Real Estate Listings are segmented into Current and Sold with the latter segmented by listings of Rick Hill: Royal LePage In Touch Realty, Brokerage. We invite you to contact Rick Hill when considering to buy and or sell recreational real estate in the geographic areas of Georgian Bay as presented. Let Rick help you make an educated decision when selling and or buying property: He’ll explain why and what value exists based on market history and other related knowledge. Rick Hill knows Georgian Bay real estate and is here to help you. Call Rick Hill at (705) 756-3771 or email him at georgianbayislands@gmail.com.